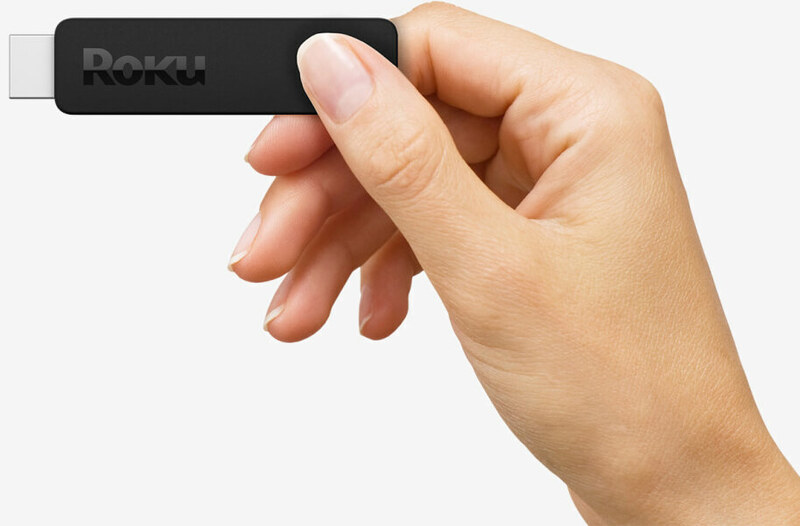 Roku on Tuesday announced a new version of its HDMI streaming stick that’s smaller, thinner and much faster than its predecessor. The third-generation Roku Streaming Stick is described as the most powerful pocket-sized streamer on the market with a quad-core processor that’s eight times as fast as the chip in Roku’s 2014 model. The kit includes a slimmed-down version of the standard Roku remote which unfortunately loses its audio jack for private listening. There is a workaround, however, as you can download the Roku Mobile App on your Android or iOS device and connect headphones to it for private listening. Roku says the app is also compatible with most Bluetooth headphones and speakers should you want to take that route. As before, the device’s slim profile makes it ideal for plugging into most wall-mounted televisions. The new stick supports 720p and 1080p video output and connects wirelessly over dual-band 802.11 a/b/g/n Wi-Fi with WEP, WPA and WPA2 encryption standards. 4K playback isn’t supported – for that, you’ll need to turn to the more expensive Roku 4 priced at $129.99. Roku is also rolling out a new software update, dubbed Roku OS 7.1, that’ll offer a handful of improvements such as crowdsourced recommendations. The Roku Streaming Stick is available to pre-order as of writing and is scheduled to ship on April 20. It carries a retail price of $49.99. The software rollout begins today and should be available to all within six to eight weeks, we’re told.